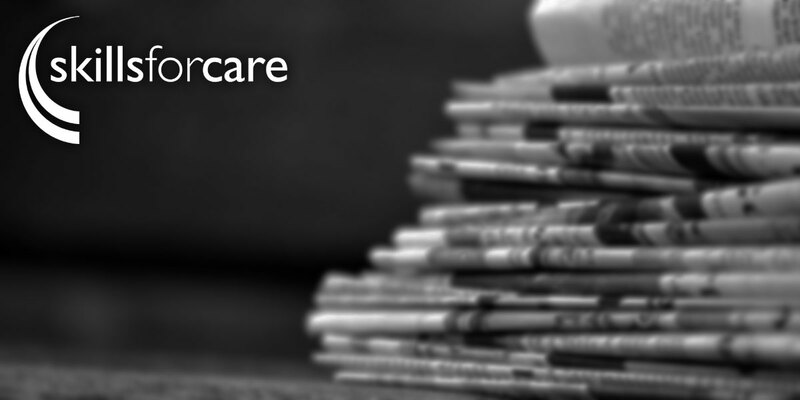 With the April 2015 deadline fast approaching, the new Care Certificate will soon be upon us. Not too surprisingly we are starting to see an increase in the level of enquiries we receive from current (and prospective) clients wanting to know what plans we have in place to help them deliver under the new regime. Whilst many enquiries are from organisations who have been planning for the Care Certificate for some time, a significant number are only now beginning to realise the potential impact of the changes ahead of them! Cost: This was always going to be an issue and boy is it an issue! Most of our clients are forecasting a significant increase in the cost of delivering and managing induction. The potential increase in workload for assessors and managers should not be underestimated. Content: The increase from 8 standards (Common Induction Standards) to 15 (Care Certificate) was always going to result in a more demanding induction programme, although no extension to the 12 week rule was given! On top of the obvious changes, such as a requirement to complete both Adult and Children’s safeguarding training regardless of work environment, our subject matter experts estimate there will be a minimum increase of some 10 -20% in the learning material required to cover the 15 standards. To put this into some sort of context, this could conceivably add an extra day to each and every induction programme. Observations: This is the one many clients are getting jittery about and not without some justification. The Care Certificate is going to require around 50 competency observations to be conducted for each new starter and there is a requirement that these ‘observations’ are conducted in a manner similar to those undertaken as part of a formal qualification. Whilst it’s fair to say some of our clients are comfortable they can deliver this element, a significant number are extremely concerned about the practicality of conducting observations (especially where vulnerable people are concerned) but more importantly many won’t have the time and/or resources to deliver and record these appropriately. Online: Skills for Care has been championing the use of technology enabled learning for some time now and so it’s no surprise to see e-learning being confirmed as a perfectly acceptable delivery medium within the Care Certificate Framework specification. This seems to have prompted many organisations to take stock of their current training and be more open minded about integrating online technologies into their blended learning approach. Care Certificate Self-Assessment Tool: Will be available as part of a Skills Gap Analysis feature and linked to Individual Learner Records (ILR). This can then be used as part of initial candidate screening as well as forming the basis for appraisals and workforce planning. Content Mapping: Our Subject Matter Experts (SME) have cross-mapped our existing content against the Care Certificate to identify potential ‘gaps’. Additional content is currently being developed to ensure we can deliver against all the learning outcomes required within the Care Certificate framework. Observation Toolkit: A series of high quality observation templates designed to enable assessors/managers to conduct and record high quality ‘Assessment of Performance’ observations as required under the framework guidance. These will be directly linked to Individual Learner Recrods (ILR) to ensure compliance with the guidelines. We will also be creating additional resources to advise and assist occupationally competent managers to complete the observations in a manner consistent with a regulated qualification to ensure they are high-quality and can withstand third-party scrutiny. Reflective Account: The new framework places a significant emphasis on learners being able to demonstrate understanding and being able to communicate that knowledge appropriately. To facilitate this, we are creating a tool to enable the use of ‘Reflective Accounts’ which will be available to managers/assessors and cross-mapped against appropriate Care Certificate learning outcomes. Assessment Engine: Offers access to both a comprehensive suite of pre-designed assessments developed to demonstrate knowledge and understanding of key components of the Care Certificate. Naturally the results of the assessments are linked directly to the learners individual ILR and available on-demand. Initial rollout of the above features will begin in April 2015 and we will continue to enhance the system throughout the year, with the expectation that all the key tools are in place within the 6 month transition period. In addition to the above, most of our clients currently use Care Academy to deliver fully accredited QCF units and qualifications and automatically generate pre-populated WDF forms for submission. Given that our units and qualifications are eligible for a range of funding (ESF, SFA and WDF) we have been able to create a range of licence models to offer access on either a part-funded or fully funded basis. We fully intend to extend this option to incorporate access to the Care Certificate and ensure we continue to provide maximum value for all our clients. And finally, thanks must go to all of our clients who have provided feedback over the past twelve months or so and have helped us crystalise our vision for the next version of EdgeWorks™ Care Academy – we hope you will be pleased with the results. If you are a prospective client and would like to discuss any of the above or simply view the system, please don’t hesitate to get in touch.